In case you missed the news last month, we won another Hugo! 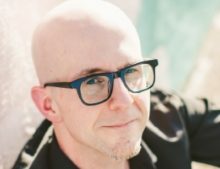 The Hugos this year were presented at Sasquan, the 73rd annual World Science Fiction Convention (Worldcon), held August 19-23 in Spokane, Washington. Lightspeed took home the rocket for Best Semiprozine, but also, just as exciting, there were two other Lightspeed Hugo victories: Thomas Olde Heuvelt’s story from Lightspeed, “The Day the World Turned Upside Down,” won the Hugo for Best Novelette, and one of our illustrators, Elizabeth Leggett, won the Hugo for Best Fan Artist. Congrats to them both, and thanks to everyone who voted for all of us. (Also thanks to all of the people who work with us on Lightspeed, and of course all of our authors and artists—I thanked them all on stage, but it bears repeating!) We won the Hugo for Best Semiprozine last year as well, but most of our team wasn’t able to be in London to accept the award in person (none of us except for our podcast producer, Stefan Rudnicki, were able to make it), so having all of us there in person this year made it extra special for us. 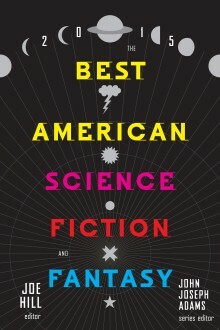 This month is the debut of Best American Science Fiction and Fantasy, part of the prestigious Best American series. 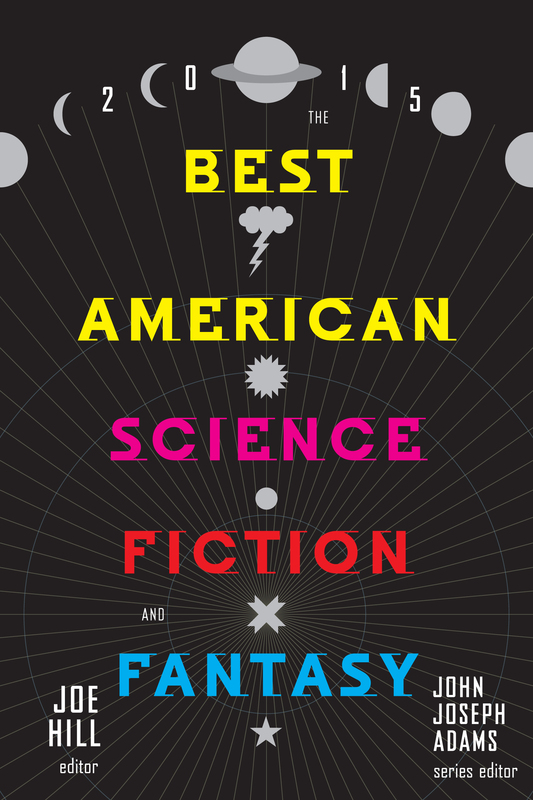 In it, guest editor Joe Hill and I present the top twenty stories of 2014 (ten science fiction, ten fantasy), by the following: Nathan Ballingrud, T.C. Boyle, Adam-Troy Castro, Neil Gaiman, Theodora Goss, Alaya Dawn Johnson, Kelly Link, Carmen Maria Machado, Seanan McGuire, Sam J. Miller, Susan Palwick, Cat Rambo, Jess Row, Karen Russell, A. Merc Rustad, Sofia Samatar (two stories! ), Kelly Sandoval, Jo Walton, and Daniel H. Wilson. It’ll be available starting October 6. Learn more at johnjosephadams.com/best-american. ICYMI, in August, I published a new anthology co-edited with Daniel H. Wilson called Press Start to Play. It includes twenty-six works of fiction that put video games—and the people who play them—in the spotlight. Whether these authors are tackling the humble pixelated coin-op arcade games of the ’70s and ’80s, or the vivid, immersive form of entertainment that abounds today, you’ll never look at phrases like “save point,” “first-person shooter,” “dungeon crawl,” “pwned,” or “kill screen” in quite the same way again. With a foreword from Ernest Cline, bestselling author of Ready Player One, Press Start to Play includes work from: Daniel H. Wilson, Charles Yu, Hiroshi Sakurazaka, S.R. Mastrantone, Charlie Jane Anders, Holly Black, Seanan McGuire, Django Wexler, Nicole Feldringer, Chris Avellone, David Barr Kirtley, T.C. Boyle, Marc Laidlaw, Robin Wasserman, Micky Neilson, Cory Doctorow, Jessica Barber, Chris Kluwe, Marguerite K. Bennett, Rhianna Pratchett, Austin Grossman, Yoon Ha Lee, Ken Liu, Catherynne M. Valente, Andy Weir, and Hugh Howey. You can sample the anthology by reading “God Mode” by Daniel H. Wilson, one of our reprint selections in our September issue. Visit johnjosephadams.com/press-start to learn more. And then in September, Saga Press published a new anthology I edited called Loosed Upon the World, the definitive collection of climate fiction. These provocative stories explore our present and speculate about all of our tomorrows through terrifying struggle and hope. Join bestselling authors Margaret Atwood, Paolo Bacigalupi, Nancy Kress, Kim Stanley Robinson, Jim Shepard, and over twenty others as they presciently explore the greatest threat to our future. To learn more, visit johnjosephadams.com/loosed. We have original science fiction by Maria Dahvana Headley (“Solder and Steam”) and Adrian Tchaikovsky (“The Children of Dagon”), along with SF reprints by An Owomoyela (“Water Rights”) and Gregory Benford (“Time Shards”). Plus, we have original fantasy by Emil Ostrovski (“Tragic Business”) and Nike Sulway (“The Karen Joy Fowler Book Club”), and fantasy reprints by Kevin Brockmeier (“The Invention of Separate People”) and Delia Sherman (“The Fiddler of Bayou Teche”). For our ebook readers, we also have an ebook-exclusive novella reprint of James Tiptree Jr.’s “Slow Music,” and, of course, a pair of novel excerpts. It’s another great issue, so be sure to check it out.